This is a story of fighting and freedom in the world’s most dangerous place. It is a tale of oversized intentions, overinflated egos, misinformation, and sacrifice and heroism that will take your breath away. And it’s completely, 100 percent true. Serving alongside the United States Army in Kandahar Province, Afghanistan, for three years, Abi Austen experienced a rare insider’s view of the war in Afghanistan. From 2011 to 2014, the author's duties brought her face-to-face with high-ranking US and Afghan officials, experiencing firsthand the madness and mayhem of war—on a base just one strand of barbed wire away from Taliban fighters. readers closer than ever to the gritty realities of modern warfare. In early 2016, the UK's Channel 4 commissioned Abi to return to Kandahar to film a postscript to 'Lord Roberts' Valet', as part of the award-winning 'Unreported World' documentary series. What she found there was shocking. Abi bore sole journalistic witness to the fall of Northern Helmand to the Taliban, and the imminent collapse of a country. Abi's film will be broadcast on April 08th, 2016, 19.30, on the UK's Channel 4. Lord Roberts' Valet is the true story of one person's 1,000 continuous days of combat operations in Kandahar, Afghanistan. It is a first-hand account of the craziness of war, exactly as it was witnessed by the author, Abi Austen. Abi Austen has been a paratrooper, an army officer, a police officer, a diplomat, an award-winning documentary-maker, a journalist, and an adventurer. Lord Roberts' Valet is her first foray as an author: and what a debut! 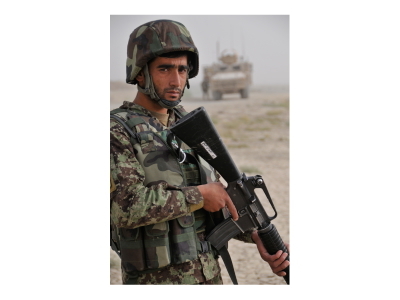 Abi went to Afghanistan in late 2011 as part of NATO's biggest overseas engagement in its 70-year history. For the next three years, she served in Kandahar, the most dangerous place on earth. Lord Roberts' Valet chronicles those years of working alongside the American and Afghan generals who led the war effort. Journey with her as she relives the firefights, the battles, the sacrifice and the vortex of war. Before her service in Kandahar, Abi spent 20 years visiting Afghanistan, both as a soldier and as a journalist. Lord Roberts' Valet draws on those unique experiences to put the whole Afghan conflict into its proper context, anlaysing the reasons why the West went to Afghanistan, and explaining why the West failed to fulfill the mission's initial promise. Lord Roberts' Valet delves into the dark side of war. The debacles, the atrocities, the cruel whim of fate and the increasing moral and emotional turmoil of fighting a war thousands of miles from home against an unseen and diabolical enemy. Rarely has one volume encompassed so many themes, raised so many questions or provided such insight into why men fight. Lord Roberts' Valet will leave you breathless....and it is all absolutely true. 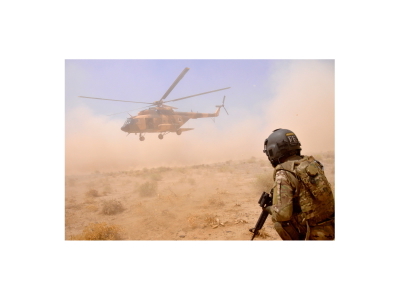 Lord Roberts' Valet is the story of a small, dedicated team's efforts to change the way the US and NATO effort in Afghanistan was perceived by the Afghan people. Abi Austen's creation of an information operations program, called 'Our Afghanistan', acted as a catalyst for change in Kandahar; towards peace and reconciliation in the midst of war. Keenly supported by the valiant US 4th Infantry Division, 'Our Afghanistan' was the most successful information operations effort in the history of the war. Why it ultimately failed is a microcosm of all that the West got wrong in Afghanistan. Lord Roberts' Valet tells the story of that sacrifice and the remarkable people who made it possible. You can see some of them in this photo. The author is centre front. The picture was taken right outside the Kandahar Governor's palace, the day the Afghan government emphatically endorsed 'Our Afghanistan'. It’s the displacement of air that causes the atmosphere to shake. Close enough, it’s like being thrown deep underwater, really, really quickly. Suddenly, you feel the over-pressure just rip the air from your lungs, as your chest wall compresses. The windows blew in with the crash. I’d got used to the daily rocket attacks, and the pre-arranged detonation of expired explosives. This was different. The air moved differently, like a solid wall. As the wooden window covers came in, so a ton of dust came down in a cloud from the roof, plus a couple of bricks. The TLS was made of stern stuff, but this explosion was bloody close—and bloody big. The siren started to warble; ‘ground attack… ground attack…’ F**k me. This is for real. Bad guys in the wire. Custer time. The military all dived for their weapons, to lock and load. The clerk in my office—a 19 year-old female air force corporal—went extremely white and promptly dropped her M-16. The magazine fell off and bullets rolled about the floor. Bloody hell. I stood an immediate chance of having some new recruit shoot me by accident. I dived for my body armour. Or would have done, if the armour hadn’t been in my room, not in my office. Double f**k.
I was surrounded by kids with suddenly very lethal weapons. One itchy trigger away from being slotted by my own side and I was a mere powerless observer without the succour of a half inch of Kevlar. There was suddenly a lot of yelling and shouting, marked by panicking officers and soldiers all screaming at each other. None of them had patently ever been in a situation like this before. And COMKAF didn’t even have a front door you could lock. I was desperately aware that these kids could be a lot more dangerous than any Taliban. It wasn’t as if I could make a break for it. The standard operating procedure was to stay put, if you were in a ‘hardened’ building like COMKAF. Any movement outside while the sirens were going was a marker for a possible enemy. Nope, nothing for it but to sit tight and make sure I stayed well away from the muzzle direction of our young clerk’s rifle. She was now very engaged in trying to do up her helmet strap with shaking fingers. The word gradually filtered down, in fragments and passing comments from harassed staff officers. A massive car bomb had detonated amongst a group of civilian fuel tankers, waiting at the main gate. The follow-on had been a couple of Taliban on motorcycles, who were engaged in a firefight with the local police. None of the bad boys had thus far got past the main gate, but there was obviously a real threat that this attack, as large as it was, was merely a distraction as a pre-cursor to another attack elsewhere on the massively long perimeter. Every compound had to be searched before an all-clear could be sounded. So we all just sat there and waited. And waited. And waited. Our young clerk got told to go wait in the inner office as she jumped up with her rifle pointing every time anybody came over the office threshold. Some folks could deal with KAF, and some, no matter what their service and training, just found it all too much. My guy Feroz, madman that he was, was actually not far from KAF, doing another story for me. When he heard the ‘c-rummp”, he immediately beetled over to see what all the fuzz was about, and started taking photos for me, which he e-mailed via his phone. I went round to the ops room, called the J-DOC, the joint defence operations centre, where all the brass had convened. All was actually quite calm in there, nobody shouting, but a lot of speculative information was flying around: tower two had seen three men with long, dark packages in their hands moving towards the gate, that sort of thing. LORD ROBERTS' VALET IS NOW AVAILABLE FOR DOWNLOAD ON KINDLE, iBOOKS AND ALL OTHER LEADING E-FORMATS. PRINT COPIES FROM AMAZON. LORD ROBERTS' VALET: your ticket to the madness of war. For the whole of Remembrance November, 20% of the fee for author signed copies will be donated to the Royal British Legion.